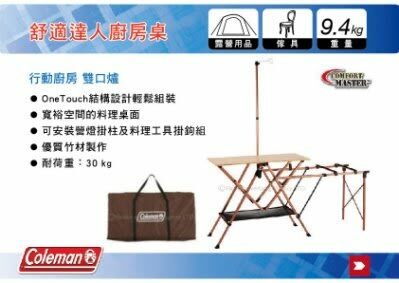 ||MyRack|| Coleman CM-0520J 舒適達人廚房桌 行動廚房 雙口爐 非Go Sport 92491 . 8,100||MyRack|| Coleman CM-0520J 舒適達人廚房桌 行動廚房 雙口爐 非Go Sport 92491. 5,850 ∥MyRack∥ Coleman CM-3126 輕便廚房桌 露營桌 行動廚房 折疊桌 .